The Philanthropy of the Shrine of North America us Shriners Hospitals for Children. There are 22 Shriners Hospitals for Children from coast to coast. 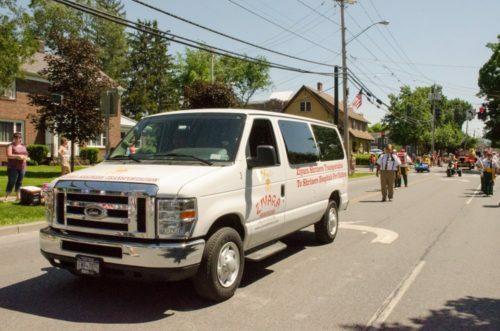 We provide free transportation to the children and their families from their homes to Shriners Burns Hospital in Boston, MA and Shriners Orthopedic Hospital in Springfield, MA. At the present time we have three vans to perform these duties. Our drivers are very dedicated and enjoy this important task and volunteer when called upon. We are always in need of additional drivers. If you are interested and available please call the Shrine Office. Clowns and more clowns are needed for this unit. Joining this special unit calls for a special kind of person - one who is caring, concerned and most of all one who can make a child smile with a smile. A look that seems to make a child’s fears turn to smiles and laughter. This unit does a lot and is very active, and is always looking for a few more good men. This unit calls for its members to take special training to prepare for the job ahead clowning around is an adventure into a child’s world where you can help make their day a little brighter and happier. That first smile you get will make it all worthwhile. Again, if you are interested in belonging to the Zanies, just call the Shrine Office and they will get you in touch with someone to assist you. all of Ziyara's membership regarding the whereabouts of the robbers. 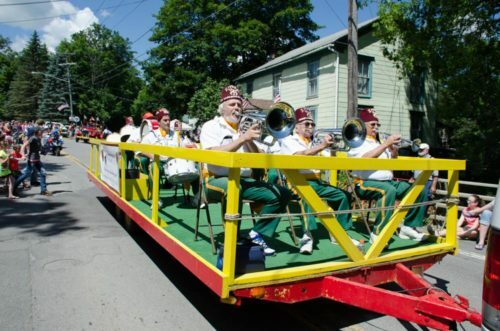 Where ever there is a parade or event you will find the The Drum and Bugle Corp. Playing the tunes that we have grown to love and expect to hear at parades and major events of the Shrine. Ziyara’s Drum and Bugle Corps has set the standard for many years. They have won many major competitions over the years. They are always welcoming new members. Interested in becoming a member, just call the Shrine Office and they will help you get in touch with someone in the corp. The Legion of Honor was formed in 1968, took over the duties of Color Guard from the Arab Marching Patrol and has been an important part of all Shrine activities ever since. This proud Unit is comprised solely of Military Veterans. It boasts of its hero members dating back to World War 1, when Cavalry meant horses, not mechanized units, No Shrine function can properly start, without the participation of the Legion of Honor for only they can rightly post our Nations Colors, The Legion of Honor with its military style uniforms and sharp parade formation has been a long time crowd pleaser at our parades. You can help carry on the tradition, to join simply call the Shrine Office they will gladly put you touch with one of the members. Formed in 1900, the Arab Marching Patrol was the first unit of Ziyara Temple. It was founded for the purpose of promoting Ziyara Temple and entrusted with the enactment of the second section of the Ceremonial. The Arab type uniforms have always been a parade stand out. Patrol members have been raised to the Office of Potentate of Ziyara and one member Gay H. Brown became Grand Master of Masons in the State of New York. Meetings are held on the second Wednesday of each month, Ladies are invited. We extend a cordial invitation to everyone. The Directors Staff is probably one of the most active units within the Shrine. Any program or event that goes on usually involves the Directors Staff in one way or another. They are the carpenters, plumbers, electricians, bartenders, and cleanup crew of the Shrine. If you are looking for group that is involved, you have found them in the Directors Staff. They are responsible for all equipment that is used in parades, they are workers behind the scenes at the circus and most events, and they perform many of the duties that are needed to keep the Shrine going. They meet the first Tuesday of each month except for July and August; usually have a dinner meeting at the Shrine Park. If you are interested in keeping busy, the Directors Staff is the Unit to join. If you ride a motorcycle this is the unit to join. They participate in all our parades and are a favorite of the crowds as they perform the formations and tricks along the parade route. Call the Shrine Office for more information. They always are in need of more riders. You do not need your own motorcycle as we have enough bikes for all riders. If you enjoy golf, look no further. This unit is for you. To join please call the Shrine Office for information. If you enjoy ritual parts, look no further. This unit is for you. To join please call the Shrine Office for information.